With the London Fashion Week runway shows officially wrapping up today, our eyes are drawn to the British catwalks. For the season ahead, shades of pale lavender, sumptuous feminine fabrics and girlish tailoring all caused a sensation in London. From Armani to Marchesa, here’s a closer look at the top Spring 2018 runway looks from LFW. Designer Giorgio Armani turned to splashy patterns and bright colours on the Emporio Armani, staying true to the vibrant spirit of springtime. A multicoloured pop art print was a signature, and made an appearance on blouses, matching skinny trousers and frocks. From belted flared minidresses to zippered bomber jackets, this motif was a running theme. Oversized checkered prints in blue and lavender tones also brightened pantsuits, with the occasional sheer top or boyish jacket to lend structure to the collection. 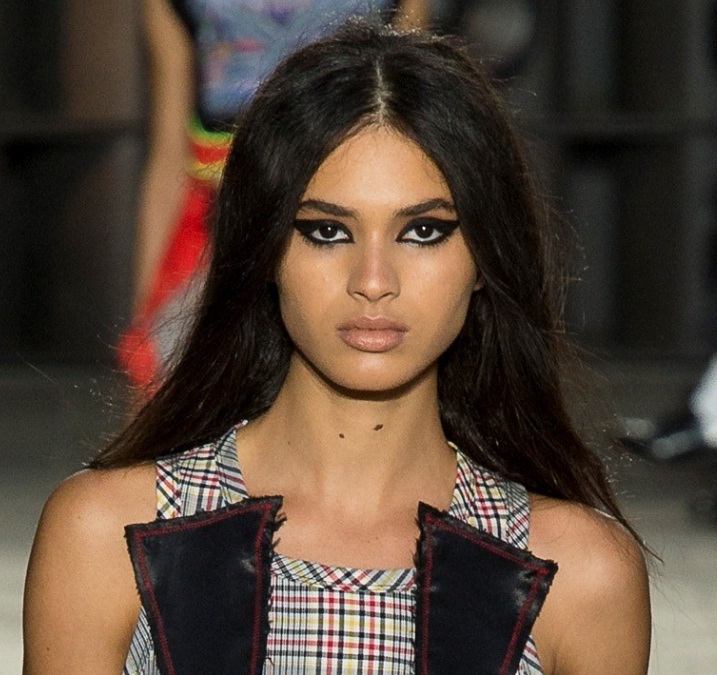 Although Burberry may be best known for their typically preppy and quintessentially British aesthetic of plaid and raincoats, the London-based fashion house presented a decidedly different collection. Burberry showed their Fall 2017 show, with creative director Christopher Bailey combining contemporary and classic elements. Burberry’s traditional yellow checkered rain jackets were re-fashioned into bomber jackets, with a selection of transparent waterproof coats in pastel blue and pink. Knit vests were adorned with quirky colours and bold patchwork accents, with contrasting shades of green, red and blue. At times kitschy, the new Burberry also stuck to old time favourites, like tartan trousers and embellished sweatshirts. At Christopher Kane, the designer examined concepts of pristine femininity, cleanliness and ladylike dressing. Models stepped out in double-breasted, floral-emblazoned jackets, sheer flowery frocks and ruffled dresses. In particular, a recurring pattern of orange, white and turquoise frills brought a finishing touch to designs. Lightweight fabrics, sheer outlines and the occasional hint of fringe were also all key elements. Canadian-born and London-based designer Erdem Moralıoğlu was inspired by Queen Elizabeth II for his latest collection. Erdem’s runway was home to heavy brocades, ornate embroidery and textured tweeds. The colour palette ranged from deep teals and mustard yellows to pale pinks and the lightest of lilacs. Meanwhile, classic neutral grey and light brown also left their impression, in the form of demure skirt suits.